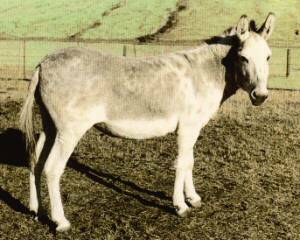 Ponui donkeys are New Zealand's only feral donkey breed. The feral herd is established on Ponui Island in the Hauraki Gulf, east of Auckland. They are descendants of three animals imported from Australia in the 1880s by the Chamberlin family, who obtained title to the island in 1854.